Our team of veterinarians are highly skilled and extremely dedicated to the field of veterinary medicine. Each of these doctors comes to our hospital with a desire to make your pet happy and healthy. Our doctors enjoys working with animals and sincerely appreciate the trust clients have in them to do good work. Having compassion for your pets is an important component in caring for animals. Our doctors are very caring and compassionate and want only the best for their patients. Dr. Christina Armour was raised in Baton Rouge, LA. From a young age, she always knew she wanted to be an animal doctor. 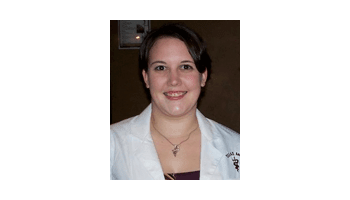 She acquired her Bachelor’s of Science in Animal Science/ Pre-Veterinary Medicine in 2008 and her Masters in Biology from Louisiana Tech University in Ruston, LA in 2010. She graduated from Texas A&M University School of Veterinary Medicine in 2014. Dr. Armour’s veterinary interests are in client education, surgery, and exotic medicine (small mammals and reptiles). She currently resides in Kettering with her husband (Doug) and her menagerie of two dogs (Finn and Max), a cat (Cricket), a tortoise (Walter), and two snakes (Toby and Dodo). In her spare time, Dr. Christina Armour loves reading, drawing/ painting, playing the viola, and as southern girl she enjoys food whether cooking or eating. Dr. Corey Griffiths is a 2004 graduate of the Ohio State University College of Veterinary Medicine and also holds a Bachelor of Science degree from the Ohio State University College of Food, Agriculture and Environmental Science. Following graduation, he moved to the Dayton area where he practiced for 5 years in West Carrollton. He left in 2009 to pursue additional training in a rotating internship at Metropolitan Veterinary Hospital in Akron, OH. Upon completion of the one year internship, Dr. Griffiths returned to Dayton and practiced as a relief veterinarian for a year before joining the Staff at Miami Valley Animal Hospital. Dr. Griffiths' primary area of interest is Ophthalmology. He and his wife enjoy a variety of outdoor activities. 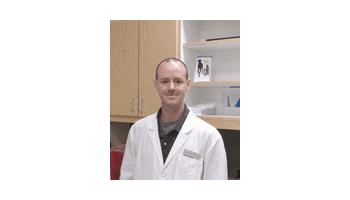 Dr. Michael Hanhart received his Doctorate of Veterinary Medicine in 2011 at the University of Wisconsin-Madison School of Veterinary Medicine where he was awarded the ACVIM Award for Clinical Excellence and graduated in the top five in his class. Following graduation, Dr. Hanhart practiced in Indianapolis before coming to Dayton and ultimately beginning work at the Miami Valley Animal Hospital where he currently holds professional interests in internal medicine, dentistry and ultrasonography. 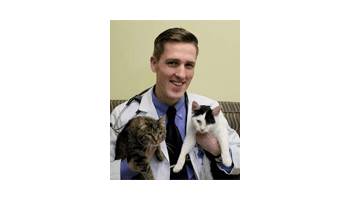 In his free time, Dr. Hanhart teaches a Pet First Aid and CPR course at the Miami Valley Animal Hospital and is a Trustee for the Miami Valley Veterinary Medical Association. Outside of work, Dr. Hanhart enjoys travel, spending time at the gym and reading. He is currently a member of the Phi Zeta National Veterinary Honor Society, the Miami Valley Veterinary Medical Association, the Ohio Veterinary Medical Association, the American Veterinary Medical Association, the American Animal Hospital Association, and the Lesbian and Gay Veterinary Medical Association. Dr. Leckband is a 1986 graduate of Iowa State University College of Veterinary Medicine. She holds undergraduate degrees in business from Colorado State and nursing from the University of Iowa. 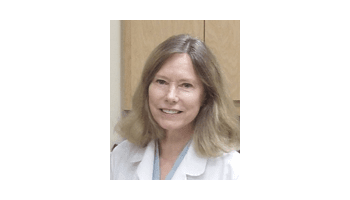 After graduation Dr. Leckband spent two years in the Chicago area prior to moving to Ohio where she spent nine years in a small animal practice in Hamilton, Ohio. Before coming to work at the Miami Valley Animal Hospital she was a relief veterinarian for five years. Dr. Leckband is an avid reader, she also enjoys travel, biking, and golf. 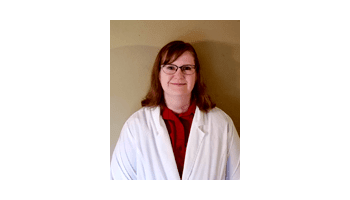 Dr. Janie Young will be joining our practice upon graduation from the Virginia-Maryland College of Veterinary Medicine. Janie grew up on a farm in south eastern Virginia where her family raises beef cattle and grows cotton, corn, soybeans, and peanuts. Her interest in veterinary medicine was sparked at an early age through a childhood surrounded by animals, and she went on to study Animal and Poultry Sciences at Virginia Tech. Janie enjoys working outdoors, riding horses, antiquing, spending time at the gym, and cooking. She is excited about moving to Ohio to begin her career as a veterinarian and has a special interest in orthopedic surgery and ultrasonography.